Are you having trouble growing your SaaS business? Sales processes and the strategies surrounding those processes play a huge role in your ability to grow. Without a well-rounded plan, reliable growth can be difficult. At RiseFuel, we work closely with SaaS companies, helping them to re-shape their sales practices to facilitate shorter sales cycles and higher conversion rates utilizing marketing technology and sales enablement services. There are a lot of great companies out there writing about SaaS sales, but few that are really zeroing in on the policies and strategies that must accompany a sound SaaS sales process and training to facilitate the best possible results. 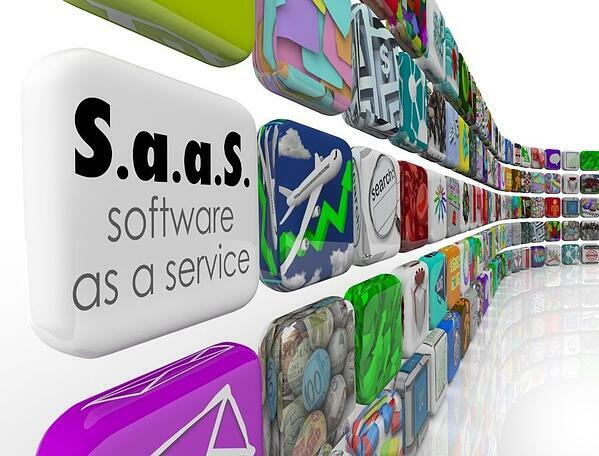 The tips in this article come from my personal experience in helping SaaS companies to grow their revenue and institute strategies that will work in conjunction with their SaaS sales teams to produce the best results. These tips will focus mostly on the types of activities and pricing strategies that SaaS companies should look at when revamping their sales strategies. One of the most common mistakes that SaaS companies make is giving long, feature-focused demos to sell to their prospects. Don’t treat your demo like you are giving a training session. This is sales. Your focus needs to be on proving your value to prospects and positioning your product as a solution to their problems, not showing them every little thing that they can do in your software. Remember, they want you to show them how your software will help them in a specific endeavor. Most of your features won’t appeal to them, at least initially. Focus on quality when giving demos. They aren’t supposed to be used to qualify prospects. You should have done that before scheduling the meeting for them. Keep it short. Don’t drone on for 30+ minutes. Try to keep it to 15-20 minutes tops and packed with value. Show them benefits, not features. For some reason, many SaaS companies seem to feel that a full month free trial is the best way to get users familiar with their product. It does make some sense. The longer that they have to try out the product, the more they should learn about it, right? Not really, unfortunately. SaaS free trial conversion rates can be all over the place, so setting a benchmark for success can be tough. A lot of it depends on your product, market, and expectations of your users. You’ll have to split test to find the optimal free trial length. Most people aren’t going to use the trial through its full duration. In fact, only a small percentage of people will even be interested in really getting to know your product. Many won’t even make an effort. A vast majority of your free trial users signed up just to get a look at your solution and see what it was all about. A shorter trial will force users to take it more seriously. If they only have 7 days to go through your software and determine whether it is right for them before they are charged, they will be more likely to dive right in and see whether it is a good fit for their company right after signing up. For SaaS companies, there are few assets more valuable than a well-optimized email campaign. A majority of your prospects are going to find your website, sign up for a free trial, and then forget about your company completely within a few hours of signing up. Email campaigns have to be there to keep your product top-of-mind and keep them coming back. Make sure that you have campaigns that use trigger-events within your software. When a new user tries a feature for the first time, sending them a little information about that feature and how it can be used can be a good idea. The goal is to guide them through the process of learning about your software, based on the actions that they take. Don’t be afraid to send a good amount of emails, either. Too many SaaS companies worry that they are bothering their prospects. Instead, be a little brazen. You are competing for their attention. Don’t be afraid to fight for it. You’ve probably signed up for dozens of software free trials in the past. How many times has the company then called you? Probably a few, but not nearly as many as it should be. Instead of simply sending emails and giving them time to try your product, give them a call and see if you can qualify them and set up a demo or answer any questions that they may have. Calling trial signups is a good time to handle objections. Hopping on a call with them will help you to drastically improve your reach rate (compared to email outreach) and keep your product top-of-mind. Everyone loves a discount. You probably got into SaaS because of the reliable monthly revenue that they provide. But you have every reason to push your most qualified prospects toward discounted annual plans. Companies with longer contracts report lower levels of annual dollar churn. You need cash flow to grow your business. Pushing larger (but discounted) annual plans not only allows your customers that are sure to get a lot out of your software to save a bit of money, but it helps you to improve your cash flow and make further investments in your growth. Although discounted annual plans may bring down overall revenue at the moment, you lock in customers for a full year and increase the changes that your software becomes reliably integrated into their systems. Net revenue churn improves with larger average contract value. Additionally, if you’ll be paying your sales reps commissions, those large sales can be a big motivator for them as well. These days, SaaS prices seem to be a race to the bottom. Everyone is trying to undercut their competitors. I argue that you should ago the other way, and make your software as expensive as you can, within reason. Pricing for the value that your software provides to companies not only helps your users to see your software as more valuable, it makes them take you more serious and likely to integrate your software into their processes. Being expensive is not necessarily a bad thing. It puts you on a plane above the typically-priced solutions in your market. It makes you more attractive to enterprise clients. In per-user pricing models, this can be a huge benefit. These SaaS sales tips will help you to attract more of the right kinds of customers, make things easier on your sales teams, and help you to reliably grow your revenue over time. Growth in SaaS is all about connecting with your users and helping them to find the value in your product as it pertains to their business. Using these strategies will help you to achieve that while positioning your SaaS company for long-term success. RiseFuel offers technology marketing expertise and can help you accomplish sale growth with effective marketing strategies that are tailored towards your unique company offerings.